Fish Oil is hot on the news lately. Fish oil is rich in DHA and EPA, two powerful fats responsible for things like: increased metabolic rate, improved fat burning, and reducing our risk for a host of diseases (cardiovascular disease, cancer, and diabetes). 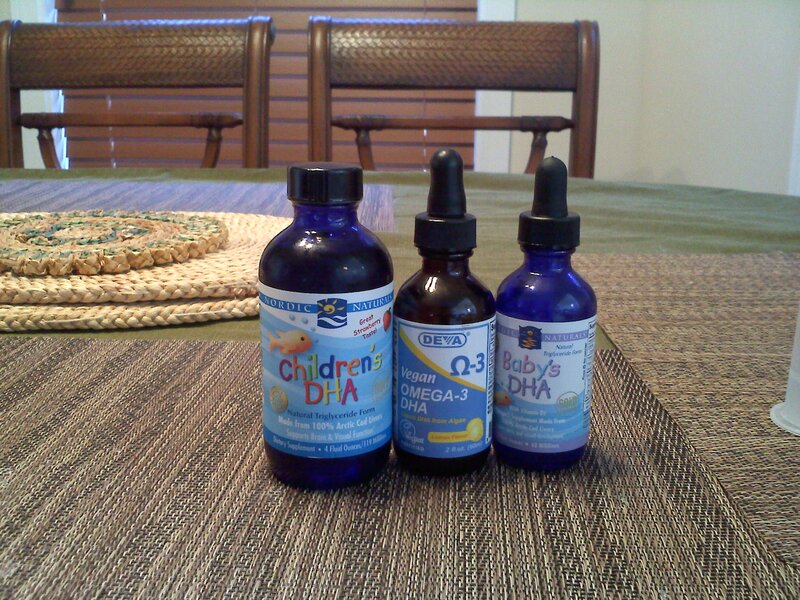 Also studies are showing that supplementing babies and children with DHA improves brain development and can result in smarter children. In fact, the supplementing begins during pregnancy. Its typically recommended using about 6-12g of total fish oil per day or 3-6g of combined DHA+EPA. The primary way most people are told to supplement are through fish oil, which is actually cod liver oil. However, there are some issues with this form of supplementation, such as traces of contaminants that are found in our fish supply. But where do fish get their DHA from? The algae they eat of course. Many experts recommend taking the form of these fats straight from the algae see below. This is also an option for vegans. Below is some information about algae based DHA. The bottom line, in my opinion, is that both sources of DHA/EPA are good. The best thing I would do is rotate the source and increase your consumption of the fats directly from foods. Getting it from different sources ensures that your hitting all your bases. If you are vegan, then you would need to use only the algae based. I will warn you, its got a strong flavor so you may want to just take the pills and avoid the drops! 2 Responses to which fish oil supplement??? thanks for taking the time to break it down for us! your blog and bottom lines are always very helpful esp for moms-on-the-go! Thanks Liz!! Im glad you read them! I will keep posting as I find time! Hope you are well!